I was quite surprised yesterday when I noticed a mention on Twitter from Sarah Burnett, blogger at Glowbeautifulblog, saying she was nominating me for the Liebster Award…. That’s my second nomination! Thank you very much Sarah, your nomination is really appreciated. What surprised me more was that within a few hours of posting this post, I’d had another Liebster Award nomination from With Mummy Love! As this was only posted a few hours prior to receiving my nomination from With Mummy Love, I’ll just update this post with the questions I’ve been asked. Just like last time there are rules for the Liebster Award. You have to thank the blogger who nominated you, display the award on your blog, answer a set of 11 questions provided by the blogger who you were nominated by, post 11 random facts about yourself, nominate 11 blogs with less than 1000 followers and then create a set of questions for your nominations to answer. So the next thing for me to do is answer the set of 11 questions that Sarah provided me. 1. What inspires you the most? This may sound really sad, but my fiancé has inspired me the most. If it wasn’t for him, I wouldn’t be blogging right now. I am so thankful to him for everything he has ever done for me and everything I know he will continue doing. I’m proud to say that one day I will be his wife and hopefully mother to his children. I have always been a big fan of pasta but I think my favourite food is a local dish from where I live called Grey Peas and bacon. Its local comfort food. I’ve mentioned it in another blog post. 3. What do you like to do in your spare time, besides blogging? I spend a lot of my spare time enjoying my hobbies like stamp collecting or playing video games. I also like writing letters to penpals. Yes! My fiancé and I have a little pet rabbit called Fudge. She is roughly 20 weeks old now. 5. What is your dream vacation? My fiancé and I have always wanted to go to Italy. The food and the architecture are amazing. 6. How long have you been blogging for? I started blogging in February 2016, so not long at all! 7. Where do you see yourself in 5 years time? In 5 years time, I hope to be married and hopefully have a child and a pretty successful blog. I want to be the best person I can be. 8. What is your favorite colour? 9. You are stranded on a desert island, you can only have 3 objects. What would they be? For me, that really depends on the mood I’m in. I’ll be a sweet girl one day but the next I won’t have a sweet tooth at all and I’m all about savoury. 11. What is your greatest achievement? I feel like the achievement I am most proud of are my gold medals and trophies I won for my swimming. Thank you for your list of questions Sarah, they have really given me a good think…especially the desert island question! 1. Where do you see yourself in 10 years time? 2. What inspired you to write your blog? It’s something I’ll always say, my fiancé inspired me to write my blog. Its something that has always interested me to do but I was a bit reluctant. I didn’t think I’d have very much to say or I wouldn’t fit into the community somewhere. With his encouragement, I decided to set up Nikkipedia. I’ll always be thankful to him for helping me be me and be a better person. 3. What’s your favourite season? I think my favourite season is Spring. The flowers are starting to bloom and its a beautiful season. 4. What’s your favourite holiday destination? Definitely Newquay in Cornwall…I love it there. I hadn’t been until I went with my fiancé and his family in 2006. 5. Do you have children? No, not yet, but I hope to some time in the future. 6. What’s your favourite film? 7. Do you work? And do you enjoy it? Does blogging count as work? If so, I enjoy it. I’m a fully trained and qualified chef but I’m currently out of work. 8. Are you in a relationship? Yes, I’ve been in a relationship with my fiancé for over 10 years now. 9. Where’s your summer holiday this year? We usually take our summer holiday in the same place that is my favourite holiday destination, Newquay in Cornwall. 10. What’s your favourite drink? There are a lot of drinks that I love, such as coffee, cappuccino, Pepsi Max etc, but if I had to pick a favourite I’d probably go for cream soda. 11. What’s your favourite makeup brand? I love Collection 2000 (I think its changed just to Collection now) but I’m currently trying new brands and new types of makeup I’ve never used before. Thank you for your questions too, With Mummy Love! I’ve really enjoyed answering them. I’m not going to post 11 random facts about me, only because I did my 25 Random Facts About Me post a few days ago so I’m just going to link you to there. 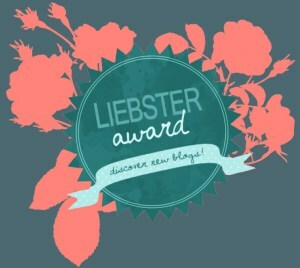 Next, I am nominating the following blogs for the Liebster Award. Here are the 11 questions you need to answer in your blog post. 3. What is your favourite topic to blog about? 4. If you were an animal, what would you be and why? 5. If you could travel somewhere new today, where would you go and why? 6. Who would be your ideal dinner party celebrity guests? 7. What social media platforms do you use to promote your blog? 8. What has been your biggest accomplishment (in life or in blogging) so far? 9. Where do you see yourself in 5 years time? 10. Which blog is your favourite to read? You now have to answer those questions nominate 11 blogs yourself and make a set of questions for them to answer. 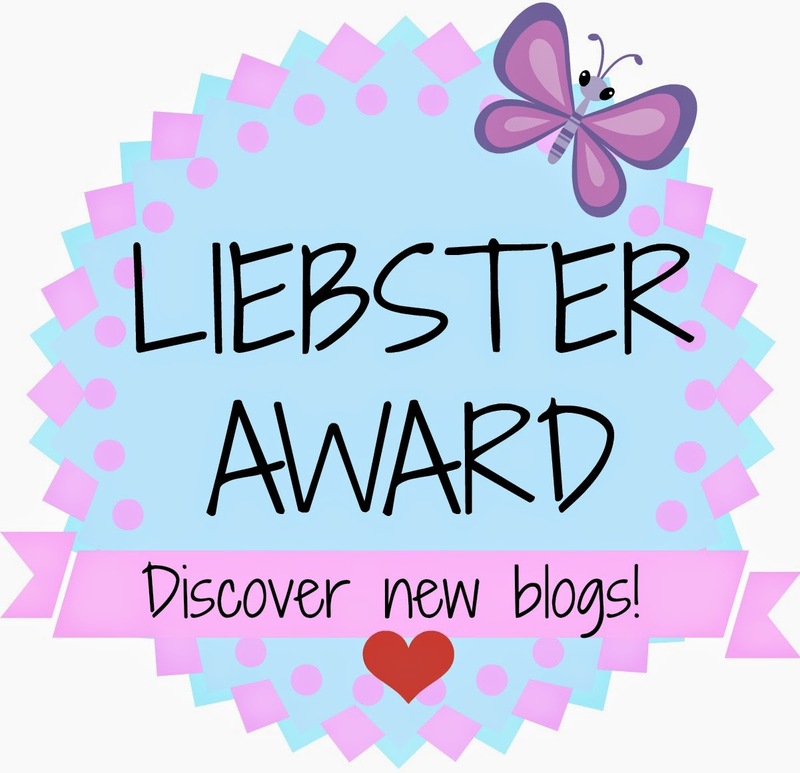 You don’t have to but I’d really love to see your Liebster Award posts…leave your link in the comments if you wish. I’m proud to show off my new Liebster Award badges! You’ll find them posted on my “About Me” page. Thanks again for the nominations. Congrats on the nomination! Love all your answers. Congrats on the nomination and i hope to see the badges sooner. If i may ask, how do i nominates someone? I mean participate in the liebster award? Thank you Tunde. You have to be nominated in order to nominate people. I've received my nominations from Twitter and Facebook groups. Tunde, if you go here http://graciesworld.blogspot.co.uk/2016/02/leibster-award.html, she is nominating anyone who hasn't done the Liebster Award before. i will go check it out!